Since his election in March 2013, Pope Francis has repeatedly called for tolerance and peace. Be it regarding international conflicts or the migrants’ fate - which was the main focus of his Christmas speech - the Supreme Pontiff seems to endorse a diplomatic role. 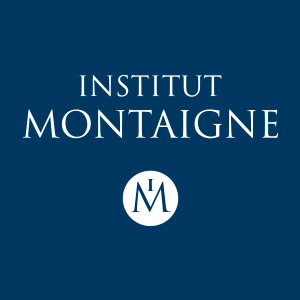 Dominique Moïsi, special adviser at Institut Montaigne, shares his opinion on Pope Francis’ foreign policy and its influence. How does Pope Francis’ "diplomacy" differ from that of his predecessors? Francis combines a great clarity in his intentions, expressed by a deliberately humanist discourse, with a certain vagueness in the implementation of this discourse. However, the real difference with this pope lies in his birthplace. Indeed, he is the first ever Latin American, and more broadly the first non-European pope. The way he sees the world can only be influenced by his geographical origin. He also differs from his predecessors on various accounts: John Paul II had one fight, that of freedom at the end of the Cold War. As for Benedict XVI, he was probably the most intellectual out of recent popes, demonstrating rather the appeal of a scientist than of a communicator. Francis is both much less intellectually sophisticated than Benedict XVI and perhaps less clear about his priorities than John Paul II. Is this due to his personality or to the changing global environment? Hard to know. No doubt the current context is a factor: we presently have a pope who comes from a rather anti-American country, namely Argentina, while America is embodied in the most questionable way. To a certain extent, it is thus tempting to say that Francis is the anti-John Paul II. The latter was radical abroad in his fight against communism, he both fought for freedom and and was very conservative in his approach to the Church’s internal issues. Francis is the very opposite: radical in internal affairs, almost revolutionary, and at the same time very cautious abroad. He chooses his revolutions. Judging his foreign policy is therefore a delicate matter: is it hazy because he himself lacks a clear vision of the world? Or because he is deliberately cautious, and prioritizes the internal reform of the Church, which he considers as essential? Or, finally, does this vagueness follow from the complexity of a world on the edge of chaos, which makes it tough to draw clear priorities for all popes, and in particular for this one? In a world torn apart by religious conflicts, is a pacifying discourse still legitimate coming from a spiritual leader? Personally, I think the answer is yes. The pope is legitimate if he uses his unique influence to denounce all types of transgression or violation of the sacredness of life, but not if he stands as the great imprecator in the name of a particular religion or vision. The pope’s strength goes beyond the Vatican’s divisions, it lies in the power of indignation his words convey. It is the ability to say: "One can not kill in the name of God", but on the contrary one might want to save lives in the name of God. This way, if God exists, He is the same for all monotheistic religions. The question of knowing whether the pope makes full and effective use of his power of indignation then arises. I would say that in Europe, he does it with enough conviction and talent. He confronts populism and declares himself in favor of the European project, he presses Europeans when they appear to him as either too soft or lack conviction in the Union project. The issue rather concerns his presence on the international stage, as the pope's last trip in Asia illustrates. Francis fled to Asia to support the Rohingya, and his message was all the more important given the violent discrimination they suffer from, as both a minority, and as Muslims. He therefore had to represent a Christian voice, and defend the Rohingya’s cause in the name of the entire humanity. But how did he do it? In Myanmar, he did not call the Rohingya by their name. He did see them in Bangladesh, where he received and comforted them, but in a way some would consider as remote. He may have felt that diplomatic considerations were restraining him, but if it was the will of Vatican diplomacy, lacking experience, he did not oppose it in any way. On the recent issue of Jerusalem, sparked by Trump's thunderous statement, the pope did issue a negative comment, but in such a discreet way that it was barely heard. He did not firmly state: "Jerusalem is a sacred place, one should leave Jerusalem be if one seeks peace”, as he could have done. What impact does Vatican diplomacy have and what means does it possess to influence the outcome of these conflicts? In fact, Vatican diplomacy varies with the personality of the sitting pope, which comes as no surprise. The fact that Francis is "latino" grants him some advantages in Latin America, as demonstrated by his contribution to the improvement of the relationship between Cuba and the United States or to the peace process in Colombia. However, it is clear that when the President of the United States is no longer Barack Obama but Donald Trump, the Vatican’s aura is instantly reduced. Hence the significant deterioration in recent months of the situation between Cuba and the United States. The situation in Colombia remains steady for now, but what would the impact of the Vatican be regarding the Venezuelan crisis? Its effectiveness has not been proved so far. As for Europe, once again, the pope can urge Europeans countries to "do more" for the Union if they are excessively divided or weakened, but nothing guarantees these words will be followed by actions. This observation leads us to the heart of the problem, which I would define as follows: in the world of today, we are confronted with growing religious nationalism affecting all religions. This includes religious fundamentalism in Islam of course, but also in Judaism, Christianity, Hinduism - embodied by Narendra Modi - and in the Buddhist world, which, as well all know, has tragic consequences for the Rohingya people. However, while the influence of religion over politics has increased in the past years, the tempering influence of spiritual leaders has, in fact, diminished. This paradox could nevertheless be explained by the current dechristianization process. Nowadays, and especially in Europe, we find fewer and fewer committed Christians, and when we do, they tend to be less humanistic and more radical. This the real issue: the Pope’s moderating voice and its capacity for indignation are increasingly inaudible. However, the very strength of this pope might be his ability to overcome this difficulty, i.e. his simplicity, his common sense, combined with his slickness and endurance, linked to his Jesuit affiliation. Let us not forget that Francis is the first Jesuit pope, he is thus used to confronting opposition and challenging situations. Nevertheless, in this complex world, a deliberately more sophisticated voice in foreign affairs might seem necessary, unlike the pope's message of hardiness. With the Vatican diplomacy, Francis does have however an extraordinary instrument at his disposal, one of the oldest and most centralized in the world. Is he really making the most of it though?